Product prices and availability are accurate as of 2019-04-21 22:59:25 UTC and are subject to change. Any price and availability information displayed on http://www.amazon.co.uk/ at the time of purchase will apply to the purchase of this product. 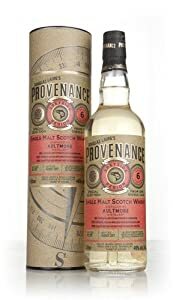 The Single Malt Whiskey Store are proud to stock the excellent Aultmore 6 Year Old 2011 - Provenance Single Malt Whisky. With so many available recently, it is great to have a name you can recognise. The Aultmore 6 Year Old 2011 - Provenance Single Malt Whisky is certainly that and will be a perfect purchase. 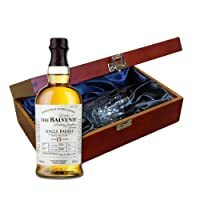 For this price, the Aultmore 6 Year Old 2011 - Provenance Single Malt Whisky comes highly respected and is a popular choice with many people. Aultmore have included some great touches and this means good value. "70cl / 46.0% - A youthful Aultmore single malt, independently bottled by Douglas Laing. This was distilled in May 2011 and matured in a refill hogshead for 6 years before being bottled in August 2017 by Douglas Laing. 452 bottles were released as part of the Provenance range."